On February 26 and 27, 2018, the MANY staff will join over 300 museum staff, trustees, volunteers, and students in Washington, DC to make the case that museums are essential and MANY WANTS YOU to join us. 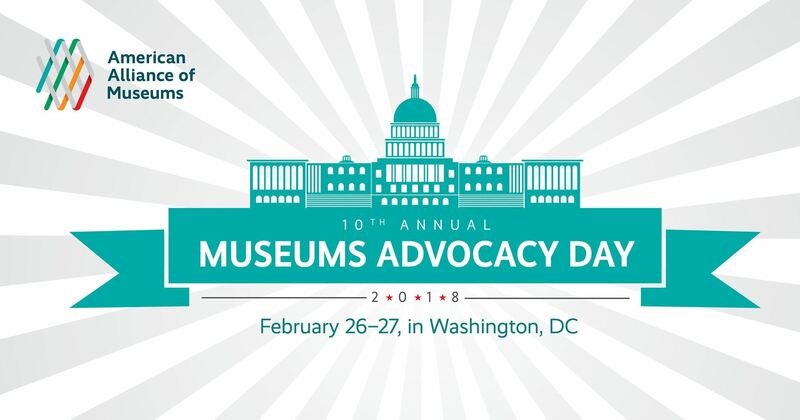 The deadline to register for Museums Advocacy Day is Monday January 22, 2018. For more information click here. MANY is an official Advocacy Day Partner and as a new member benefit, MANY members register for FREE. This is your chance to share your views with policymakers on Capitol Hill - and hone your skills to make the case at state and local levels. Advocates participate in issue briefings and prepare for meetings with members of Congress. To find more information about Advocacy Day click here and call us at 518-273-3400 if you would like the free registration code. If you are not yet a member, you can join MANY. The Museum Association of New York strengthens the capacity of New York State’s cultural community by supporting professional standards and organizational development. We provide advocacy, training, and networking opportunities so that museums and museum professionals may better serve their missions and communities.